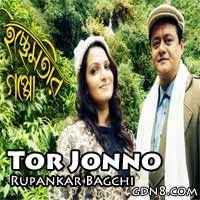 Tor Jonno Song Lyrics From Bengali Movie Ichchhemotir Gappo. This Beautiful Song Sung by Rupankar Bagchi. Music Composed by Kalyan Sen Barat. Tui asbi bole megher nao vasalam..